I’m a little bit weird when it comes to food preferences. You already know I have to trick myself into eating vegetables. I also don’t eat cold cheese, only melted. To me, there’s just a really big difference. I have this thing against mayo, dressings, sour cream, and things of that sort. It’s not just a preference. I may even become physically ill if I consume them. Which I guess explains why I’m not a big salad person. When I was a teenager, I was storm-stayed with these people I hardly knew at a girl’s house that I took lifeguarding courses with. The weather was so bad that I had to spend the night, and I was only half an hour from home. For lunch the next day, her mother made us all sandwiches with ham, lettuce and mayo. The lettuce I wouldn’t normally eat on a sandwich, but I could handle it. The mayo? I was almost sick right at the table. I didn’t want to appear rude and tell her I couldn’t eat it, so I choked it down, but it was extremely difficult. Maybe there are people who love mayo. Anyway, I love potato salad! I don’t get it. I know that it’s mayo. I don’t even usually eat hardboiled eggs. For some reason, it just doesn’t bother me at all. I add quite a bit of salt to counteract the tanginess of the mayo, but I usually mix at first as normal people would eat it, and then douse mine with salt before consuming. 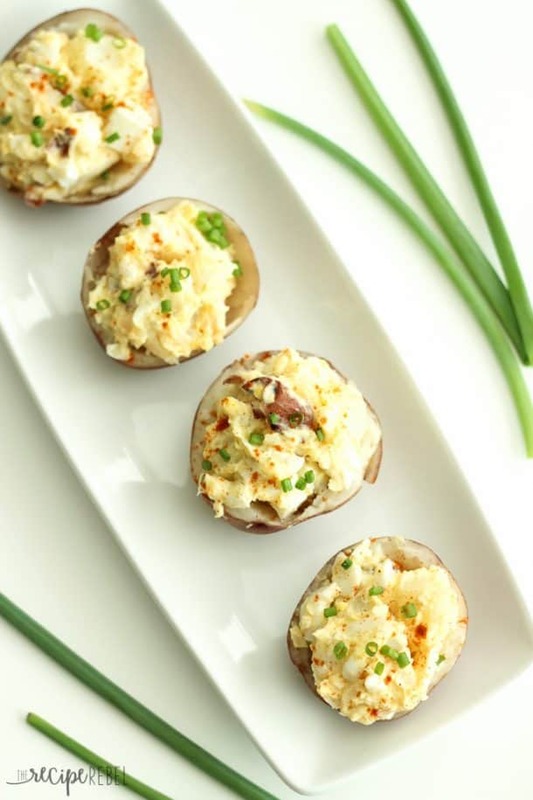 These potato salad bites are so perfect for summer entertaining. They are easy, and you can make them ahead and stick them in the fridge for later. 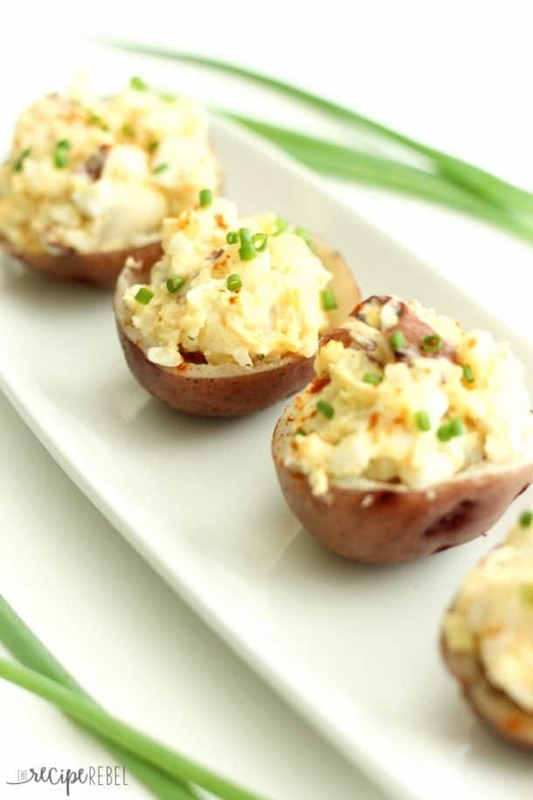 You can also use your favourite potato salad recipe, and just stuff it as I did in these. I think these would be great with bacon, or cheese, or a number of other things I’ve seen people stuffing in potato salad, but I was lazy, so I kept it simple. You could easily make these a few hours ahead and keep in the refrigerator, in a container or covered with plastic wrap. Traditional potato salad gets a makeover! Stuffing it inside cooked potato halves makes it portable and a little extra special -- perfect for entertaining. Scoop out the inside of your potatoes, leaving a thin shell. Try not to mash the potato too much (unless you like your potato salad with mashed potatoes). Chop potato removed from the center. *NOTE: I only hollowed and filled about half of my potatoes, and the rest I chopped entirely. It gives it a little more texture and I like the red skin in the salad. You can do as many as you like, but you will want to leave at least 3-4 halves to chop completely. Combine chopped potatoes, eggs, and remaining ingredients through vinegar. Stir well. Adjust seasonings as desired. Spoon into hollowed potato halves. Garnish with paprika and chopped green onions. Traditional potato salad gets a makeover! Stuffing it inside cooked potato halves makes it portable and a little extra special — perfect for entertaining. 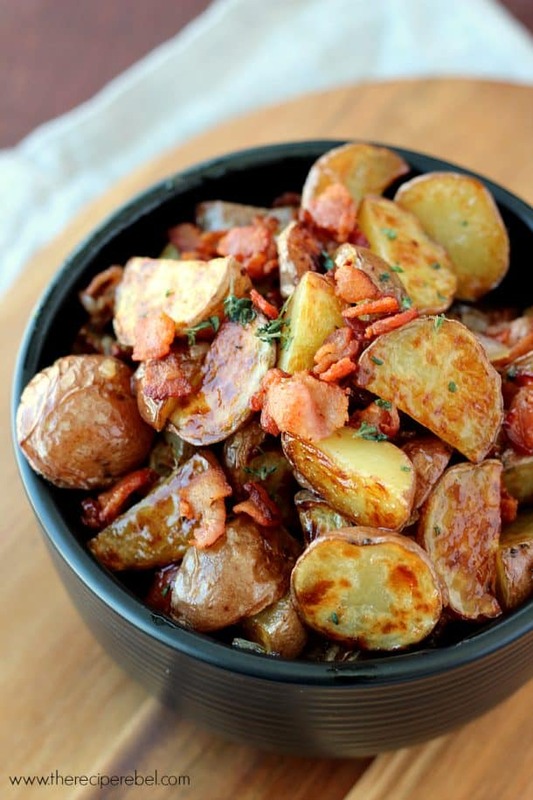 You might also like this Warm Maple Bacon Potato Salad! Texas Potato Salad from Whole and Heavenly Oven. Roasted Balsamic Rosemary Potato Salad from Melanie Makes. Grilled Asparagus & Corn Potato Salad with Creamy Lemon Dill Dijon Dressing from She Likes Food. Can I make these the night before? Thanks — I’d love to hear how it works! I’ve never made mayo — maybe I’ll have to try it next time! Whisk 1 egg, 1 big tablespoonful of mustard, salt, white pepper, then, while whisking, pour a trickle of sunflower oil until it becomes thick. Then you can stop with the oil, and continue whisking it. When it’s thick enough, re-add some oil, and re-whisk until the oil texture has disappeared. If it’s too sweet, add mustard/pepper, and enjoy some French mayonnaise! These are adorable! I was never a potato salad lover growing up because I hated mayo and onions. These days I love mayo, but onions (other than chives) are still a no-go. However I could eat about a dozen of these easily! Thanks for sharing. I love these. 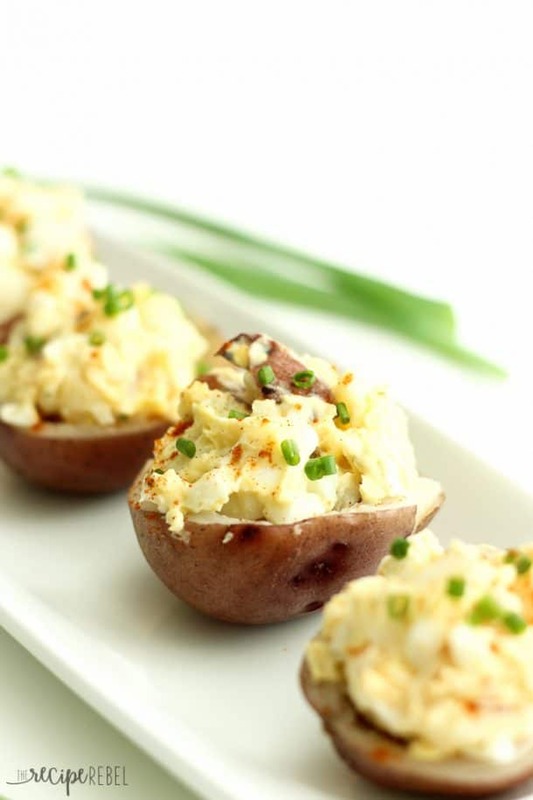 Such a cute way to serve potato salad. Pinned. Mmmmmm!!!!! !this is a must try…. 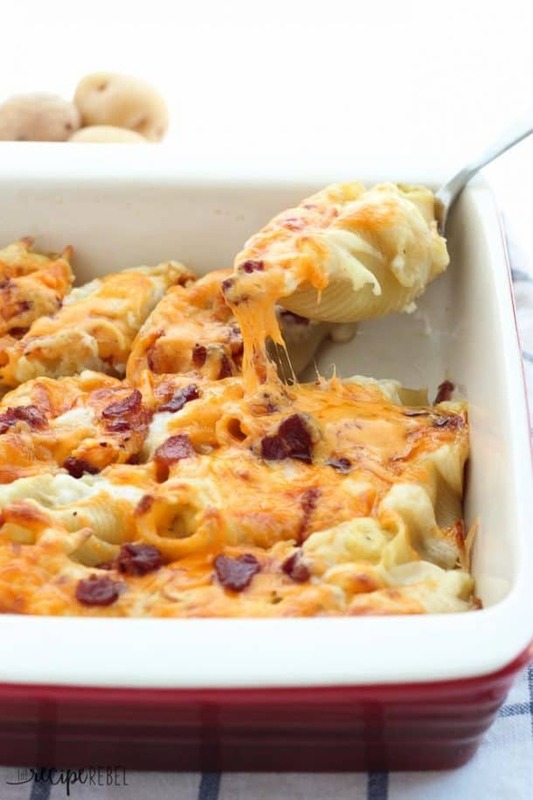 This looks really great, what a fun recipe!